Male Voice-Over Talents – The Voice-Over Guys! 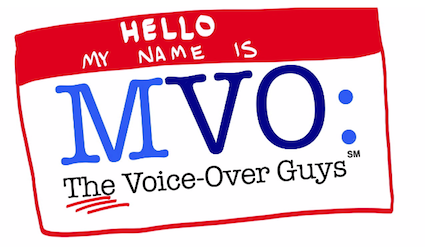 What is MVO: - Male Voice-Over Talents - The Voice-Over Guys! WATCH THIS to hear all the MVO Voice Talents! A herd of male voice talent. A gaggle of male voice actors. A pride of male voice-over talent. If MVO: The Voice-Over Guys were a sports team, we’d be Your Voice-Over Dream Team! What is MVO? In more human terms, MVO: The Voice-Over Guys offers media producers the greatest variety of some of the most experienced and popular male voice-over talents ever assembled in one place. Producers can work with any Voice-Over Guy directly with no extra fees. Each Voice-Over Guy has a ton of audio production experience. Malevoiceovertalents.com may be the greatest FREE voice-over tool ever developed to make simpler the professional lives of creative directors at advertising agencies, video producers, web media producers, casting directors and audio producers. With this easy to use website, all media producers around the world can easily choose from a wide selection of professional voice-over talents with impressively broad skill sets for every category of voice-over work (commercials, narrations, animation, promo, e- learning, video games, movie trailers, audiobooks etc.). Producers who would like to AUDITION the whole crew at MVO: The Voice-Over Guys need only fill out the CONTACT US page with the project details and their contact information we will issue the request to the MVO: team.